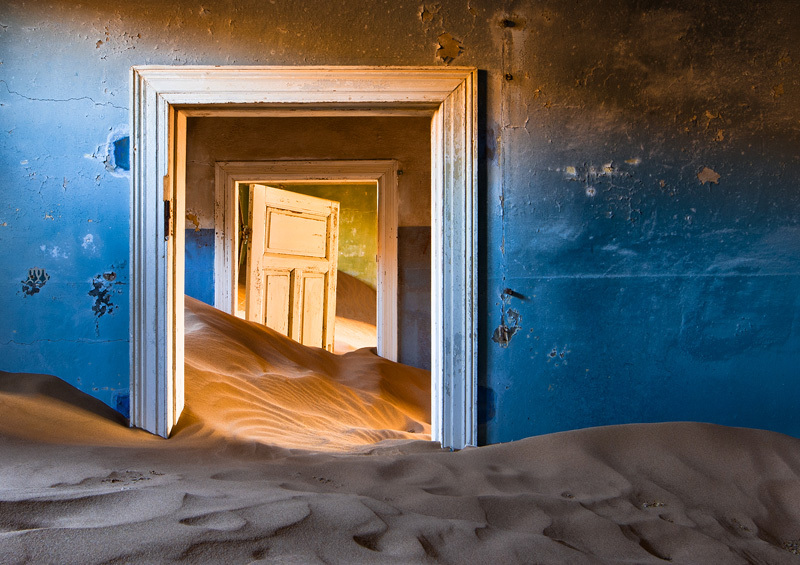 This image was shot in a ghost town in Namibia. Once a small mining village, developed after the discovery of diamonds in the area in 1908, to provide shelter for workers from the harsh environment of the Namib Desert. It was abandoned in 1956. The geological forces of the desert have been claiming back her territory ever since, and have turned the town into one of the most surreal places on earth. This shot was taken inside one of the family houses and featured as a double page spread in National Geographic magazine. It is my most copied photograph.